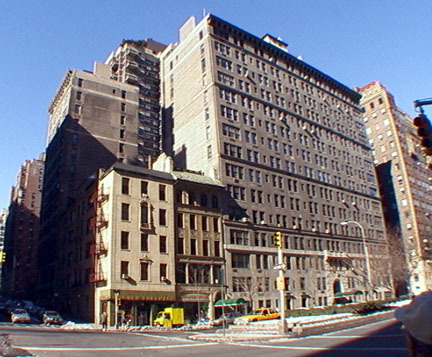 The limestone and gray-brick building was completed in 1925 in two sections because of a "holdout" on the northwest corner of Park Avenue and 88th Street: the northern section consists of frontage on the avenue and 89th Street and the southern section is a midblock structure on 88th Street with an identical façade to the northern portion to which it is connected through the garden courtyard. 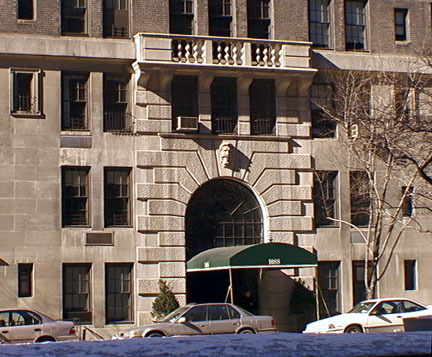 All the 15-story building's 84 apartments overlook the very large and attractive garden courtyard and have benefited by surrounding development in the post-war period as the Park Regis at 50 East 89th Street created a large plaza/private garden on 88th Street and the apartment tower at 60 East 88th Street is setback in a driveway. As a result, the garden courtyard, about a quarter of an acre in size, at 1088 Park Avenue is afforded considerably more light and air than normal for the Upper East Side. The building was developed by Robert J. Cuddihy, publisher of The Literary Digest, whose circulation in 1927 of 1.5 million was second only to the Saturday Evening Post, according to David Trager, the author of "Park Avenue, Street of Dreams," (Atheneum, 1990). always been considered an elegant address, a favorite of families with children," Trager wrote, adding that one of its early residents was the managing editor of The New York Times. 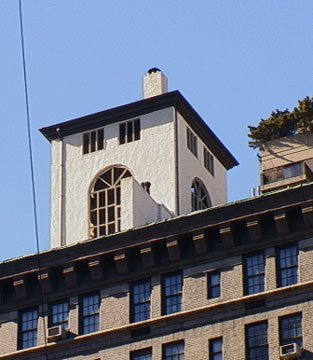 In 1980, the building, to its great credit, banned the installation of "picture" windows because of esthetic concerns, according to a January 22, 1995 article by Christopher Gray in The New York Times about the building. The building's board authorized the installation of new windows that had muntins dividing panes like the building's original windows, but about a third of the residents decided not to upgrade and to keep their old wooden windows. "From the outside, the form of the new windows closely matches the original ones, especially from sidewalk distance. But you can tell by the glass: The modern windows are a single, perfect sheet under the muntins, with shadowy reflections caused by the double glazing. The glass in the old windows has gentle ripples, like a stream eddy, and each pane reflects the light at a slightly different angle. The wood itself has a soft, varied quality that metal cannot match. For a sophisticated design like that of 1088, the only truly hurtful change on the outside is the choice of color. The original woodwork on this and most other 1920's apartment houses was painted buff, or cream, or white, in sympathy with the masonry skin. The co-op has chosen the aluminum industry's standard brown and is repainting the surviving wooden windows the same color," Gray observed.